Standing six stories high at the center of downtown Seoul, Jongno Books was Korea’s first multilevel bookstore, established in 1907. It was a haven for writers and thinkers, offering not only Korean books of every kind but also English and Japanese publications, rare in Korea at the time. Stationery and music albums lined a corner of the fourth and fifth floors. It was also the first place to offer fixed prices for books. Businessmen from nearby offices and students would browse for hours; friends would designate the easily recognizable landmark as their meet-up spot. When the establishment closed down in 2002, writers lamented its demise. “It was the place where my spirit matured ... my mental haven in a crazy world,” poet Jang Seok-joo once wrote. “On Saturday evenings, the entrance of Jongno Books would be filled with people waiting for others ... waiting for someone to call out their names,” wrote novelist Kim Yeon-soo. Some 14 years later, on Friday, a bookstore with the same name opened its doors a few blocks away from the original spot, in a location previously occupied by Bandi & Luni’s bookstore, which closed in September. Larger and much more modern compared to its old namesake, and now featuring a salad bar and dessert cafe, the new Jongno Books was packed with visitors over the weekend. While people are waxing nostalgic, Jang Deok-yeon, who served as a CEO of the original Jongno Books, has been protesting the name of the new establishment. “It has nothing to do with the historical store that people remember,” Jang said in a statement Tuesday. “It is appalling that (the store) is using people’s memories for advertising and promotion, to make it seem like the old store has been resurrected,” he said. 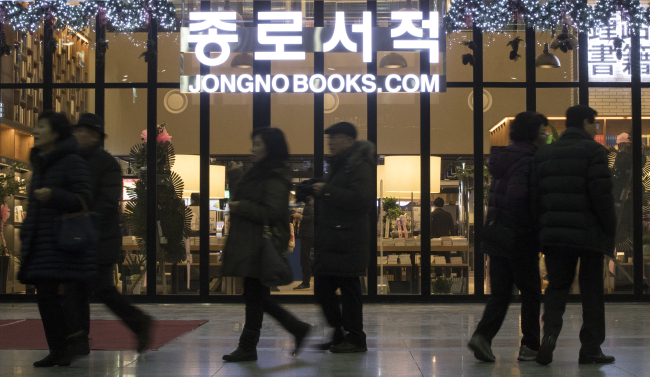 Jang ran Jongno Books from 1977 until its closure, when it failed to enter the expanding online book market and faltered behind competitors like Kyobo Books and Youngpoong Bookstore, Korea’s two largest bookstores. The CEO of the new Jongno Books, Seo Bun-do, is a former executive at Youngpoong Bookstore. It seems a risky venture to open up a new bookstore at a time when the Korean publishing industry is lagging. The value of the Korean publishing industry has declined by 3.3 percent compared to 2014, totaling 3.4 trillion won ($2.8 billion) as of December, according to the Publication Industry Promotion Agency of Korea. Sales at offline and online bookstores dropped 2.9 percent and 7.5 percent, respectively, during the same period. Some interpret the statistics more optimistically. 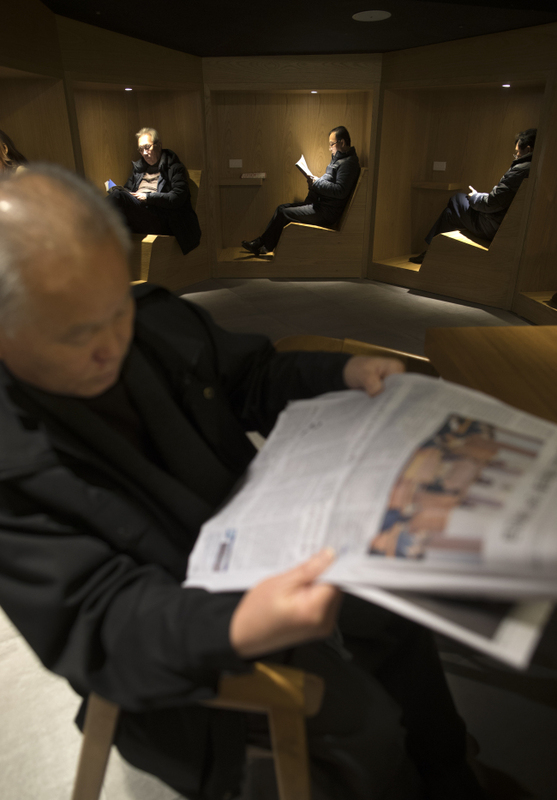 The significant drop in online book sales shows there is a “thirst among the public for tangible, paper books and physical places, apart from the existing large bookstores, where people can enjoy them,” said Park Rae-pum, a communications official at Jongno Books. The new store is currently stocked with some 100,000 Korean books only, but has plans to bring in English and Japanese books in the coming months.